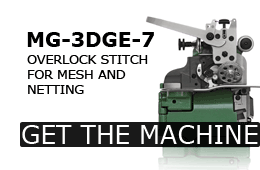 The MG-3DGE-7 sews a three-thread structural overlock seam on netting and mesh with loosely spaced webbing. The stitch is applied using a fabric handling system that incorporates a wheel foot which eliminates the hazard of catching between the web while material is being fed. 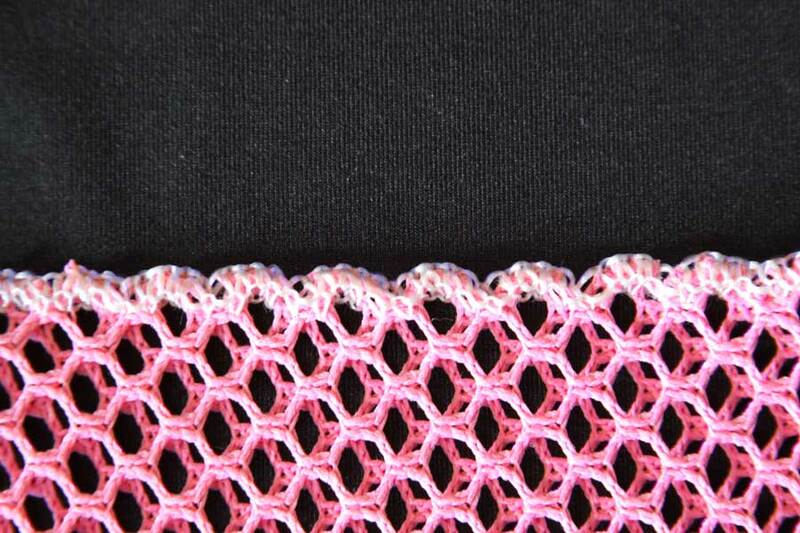 The MG-3DGE-7 is commonly used for athletic netting such as lacrosse and hockey nets, and sews a 5/32" wide secure stitch at 5500 RPM. The MG-3DGE-7 completely and securely wraps only the web, making the stitch nearly impervious to impact or pulling. 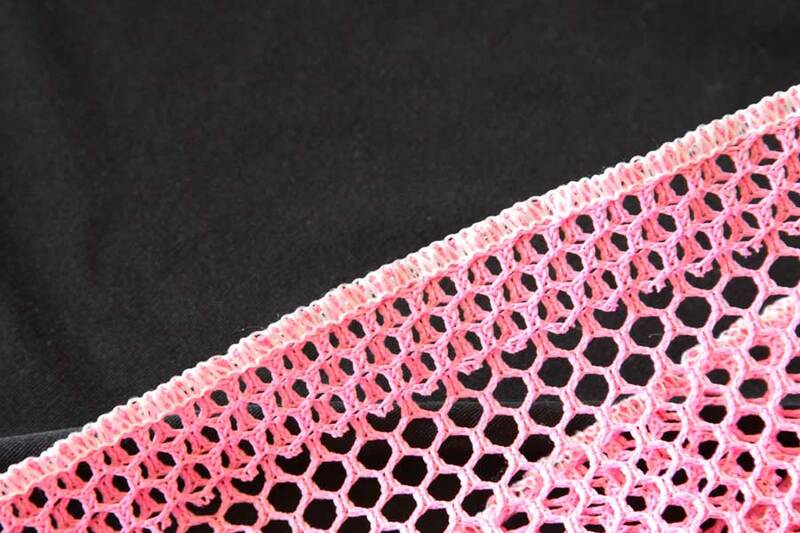 At a standard width of 5/32", even the heaviest nets can be sewn with the MG-3DGE-7, yet it is frequently used for lighter mesh such as those used in ball carrying totes and laundry bags. 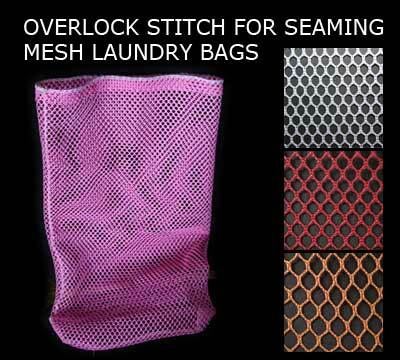 The Structural Overlock Seam for laundry bags does an exceptional job of wrapping the closed part of mesh web. 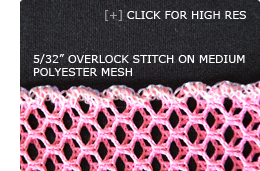 With Merrow's variety of mesh fabric handling systems, the stitch will secure all weights of raschel and tricot netting.